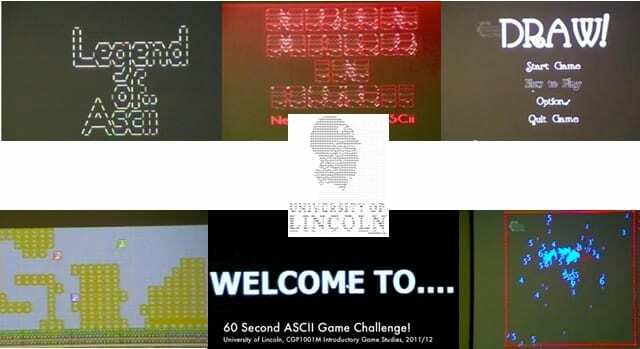 First year Games Computing and Computer Games Production students finished their 60 second ASCII game challenge yesterday. The submissions were very impressive with many drawing on a retro theme to complement the ASCII look. The games were all developed using GameMaker Lite and were completed after around 5 weeks of work. We think that focussed, tightly defined challenges provide a great framework for students to showcase their developing talent and the relatively short timescale prevents games either getting too large or losing direction. The next challenge will be using the Unity game engine, which will provide a different type of challenge for the students!